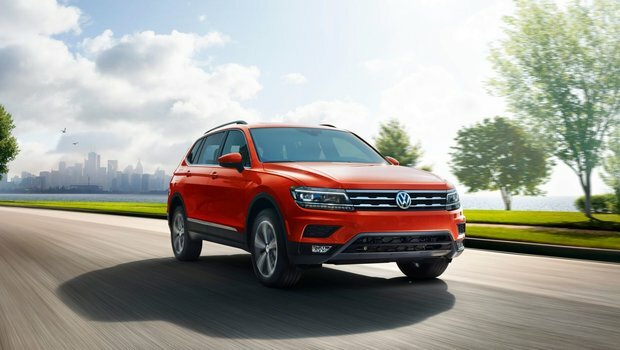 As the crossover breed of vehicle quickly takes over the entire automotive market, Volkswagen has jumped on the bandwagon with a newly updated all-new version of their baby ‘ute the Tiguan. For 2018 it sports an updated exterior look, as well as some upgraded interior features you’ll definitely want to pay attention to. So, we’ve put together the top things you need to know about the 2018 Volkswagen Tiguan. You might not expect it in a vehicle the Tiguan’s size, but thanks to Volkswagen stretching the length of the new Tiguan by nearly 11” over the previous generation, that means there’s quite a bit more interior room. If you opt for the front-wheel drive version, the third bench comes standard, however, if it’s the 4MOTION AWD model you’re after, you can add on the third row, no problem. While the 2018 Volkswagen Tiguan features the same 2.0L turbocharged 4-cylinder as the previous generation, engineers at the German automaker made a few specific modifications to it in order to make it much more efficient. It now produces 184 horsepower and 221 lb-ft of torque. Now, that’s less powerful than the last generation, but the Tiguan is now more fuel efficient than it was before with a combined rating of 10.2L/100km. There’s no denying that the 2018 Volkswagen Tiguan is on good-looking utility vehicle. There’s something to be said for German engineering and design, and the 2018 Tiguan is proof that they took some serious time redesigning the exterior and updating the interior. With a much more modern look on the outside, and upgraded materials on the inside, the Tiguan looks much more upscale and luxurious than its price tag would have you believe. 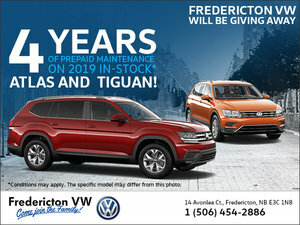 To find out more about the all-new 2018 Volkswagen Tiguan, head down to your local Fredericton Volkswagen dealer to speak to one of our experts, and don’t forget to book a test drive, too.